I was recently going through some old photos and came across this one. 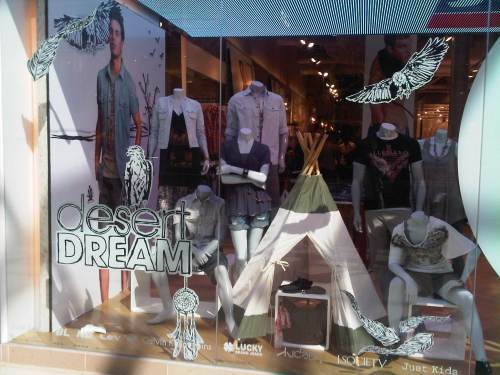 In November / December last year I was contacted by a member of the Just Jeans marketing company to make two teepees for them to have in the display window of two of their stores. One in Sydney and the other in Melbourne. They needed a custom order that was a bit different to the normal style that would fit in with their new theme of “Desert Dream”. So after a little bit of adjustment, this was the final design and the first medium sized Teepees from Henry’s House.